Wundervolle freistehende Villa mit 3 großen Schlafzimmern, großem Wohnzimmer mit Kamin, TV und Schlafsofa, zwei Badezimmern mit Dusche, Waschmaschine, Küche mit Geschirrspülmaschine, großem Parkplatz im Freien, Terrasse zum Entspannen, 300 qm Garten mit Dusche warme Außen- und Bewohnbarkeit für Tiere. 50 Meter vom Strand entfernt in der schönen Bucht des Golfs von Arzachena. Benutzung des privaten Pools. 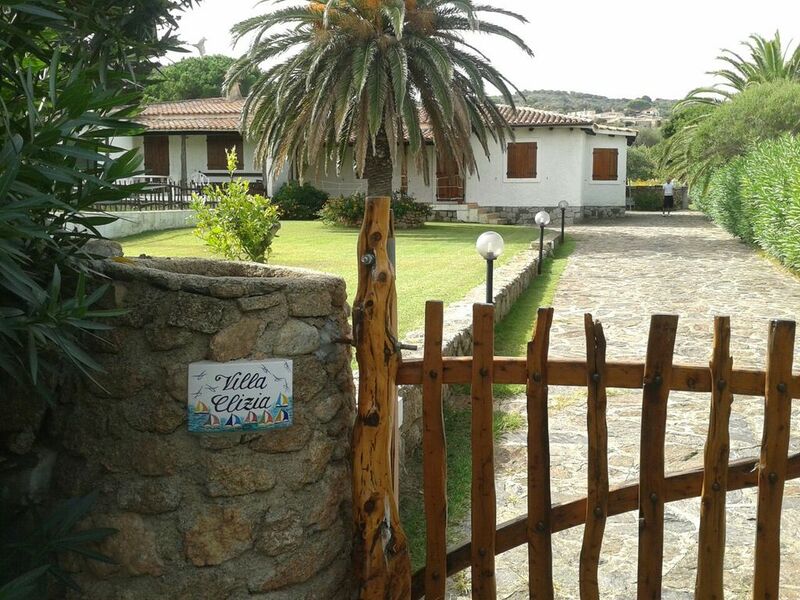 Villa Clizia is a lovely place to stay near the beach and now with the option of using a fully fenced swimming pool that is shared with the owner's place behind. Unfortunately the palm tree is no more. Cannigione is a nice, quiet, unpretentious town in the amazing north of Sardinia. Laconia is a 15 minute walk from Cannigione and has at least three good restaurants and a very nice beach. We loved our stay at this lovely villa so close to a great beach with a nice lawn and tree for shade. I would say tank you Andrea and his family for the stay and the kindness. Is a very nice and correct family.